A Special Promotion helps a global leader enable its channel partners and change behavior by offering experiential rewards. 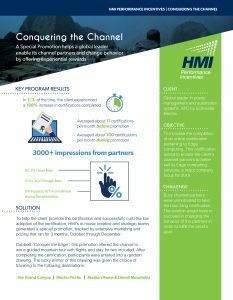 To learn more about channel enablement strategies, click here. The best way to get started is to get in touch.